An idea for a different and green holiday? Go to buy organic, good and genuine oil, on the territory where it is born and taste it when it just made with the products of the territory. 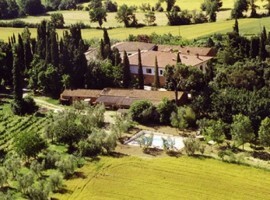 It is possible to do so in several organic farms in Italy that offer eco-friendly stays, in country houses of great charm. From Liguria to Sicily, we have selected 20 resorts and farmhouses among the olive trees that are worth a trip. 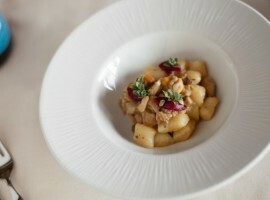 A holiday in the green heart of Italy, to discover a marvelous nature, suggestive cities and unforgettable flavors. Where to stay: Eco B&B Villa Eleiva offers its guests a suite and an independent annexe where you will feel at home, a beautiful swimming pool and an organic breakfast served on the patio. 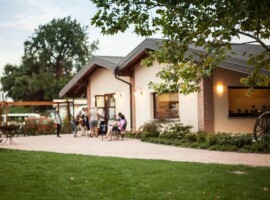 Organic Olive Oil: A few miles from the property there’s the Beatrice Farm, which produces organic oil with particularly low acidity and number of peroxides, and high phenolic compounds. You can’t miss: just 20 minutes from Villa Eleiva you will discover the beautiful Orvieto, located on top of a cliff, which houses ancient palaces and craft shops, and even closer there’s the WWF Oasis of Alviano, perfect for birdwatching lovers. 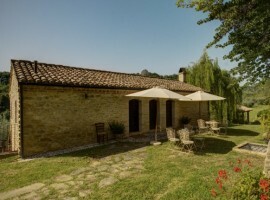 A holiday along the river Aso in Montalto in the heart of the Marche, to explore its nature and discover its villages. Where to stay: La Curtis farmhouse is an old farmhouse recently recovered, where energy comes from the sun, surrounded by woods and orchards. There is a large swimming pool, a library, a wine cellar for tastings and a playground. Organic olive oil: in the characteristic hamlet of Montalto delle Marche there’s the company Tanzi and Angelici, which has been producing organic oil for over 20 years, with unique organoleptic characteristics. 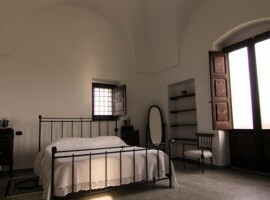 You can’t miss: staying in the La Curtis farmhouse you will discover small villages rich in charm, history, and in architectural and artistic jewelery such as Montalto delle Marche, Petritoli, Campofilone, Ascoli Piceno, and the seafront of the Riviera delle Palme. Your holiday to discover a rural and charming world in the Sieve Valley. 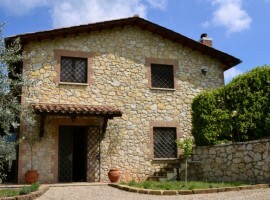 Where to stay: La Fontaccia farmhouse welcomes you in the hills of Chianti Rufina with 3 rooms and 2 apartments, all furnished with care, reusing vintage furniture and typical objects of Tuscan culture. 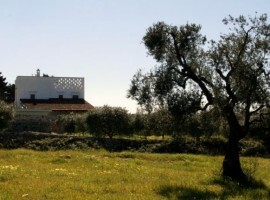 Organic olive oil: it is the same farmhouse to produce an excellent extra virgin olive oil. You can’t miss: the paths that wind from the accommodation and that plunge into the woods, the gourmet trails to discover the local delicacies and then, just 15 minutes away, the indescribable Florence. 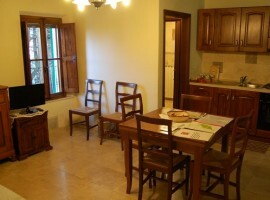 A stay between sea and mountain in the magical Sicily. 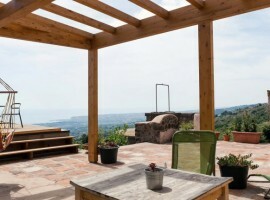 Where to stay: Bagolarea overlooks the Ionian coast, between Catania and Messina. Surrounded by 24 hectares of biodiversity, it offers to the guests an old restored farmhouse, a wooden chalet or a tent with a view. You can pick fruits and vegetables directly from the gardens and walk through lava stone terraces between olive trees, citrus fruits and vineyards. 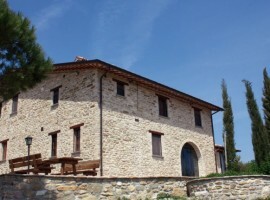 Organic olive oil: in this case it is the same farmhouse to offer a tasty organic olive oil, made with olives harvested and crushed in the cold within 24 hours. You can’t miss: A short walk from the eco-resort there’s one of the Circumetnea stations, the fascinating railroad that travels around the volcano. 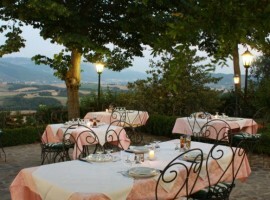 A quiet corner in the heart of Tuscany, perfect for a holiday with a view of Versilia. 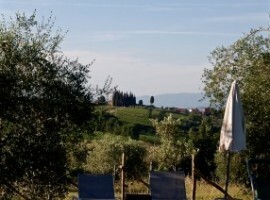 Where to stay: Borgo4case is a small eco-friendly family-run estate made up of three Tuscan farmhouses completely renovated in the decoration and furnishings, equipped with all comforts, immersed in a centuries-old olive grove. 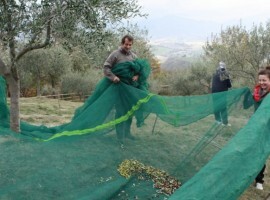 Organic olive oil: the farm produces a scented and lively Extra Virgin Olive Oil. You can’t miss: the 4 km of golden beach from Lido di Camaiore, the stop of Via Francigena from Pietrasanta to Lucca, and Lake Massaciuccoli. 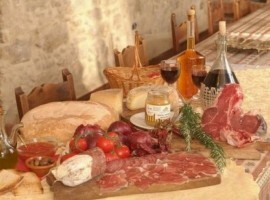 A holiday among the scents and tastes of Tuscany. 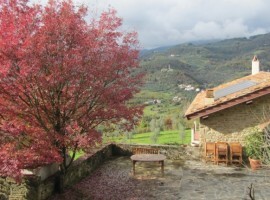 Where to stay: Poderaccio organic farmhouse warms with the wood while the sun provides the hot water and the energy needed. 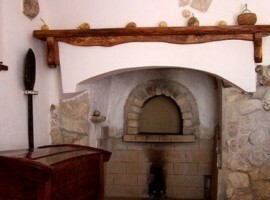 In the ancient farmhouse there are 4 apartments with independent entrance, cooking area and internet connection. 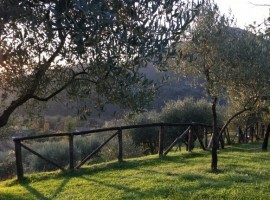 Organic olive oil: Poderaccio oil comes from typical Tuscan olive cultivars such as frantoio, moraiolo, and pendolino. You can’t miss: discover the magic of Chianti area, with its vineyards and delightful small medieval villages, and then reach Florence, Pisa, Siena and San Gimignano. A regenerating break in Liguria, between the green and the blue of the sea. Where to stay: B​&B Alla Casalta is an ancient country house surrounded by greenery, overlooking the Apuan Alps and a few kilometers from Lerici. 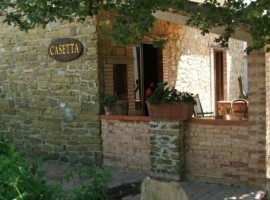 Organic olive oil: Casalta is immersed in 15,000 square meters of olive trees, from which an excellent oil is obtained. You can’t miss: From the beautiful Lerici you can take the boat to reach the Cinque Terre through Portovenere. 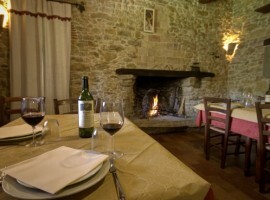 Choose the nature and warmth of hospitality for a romantic getaway just steps from Gubbio. 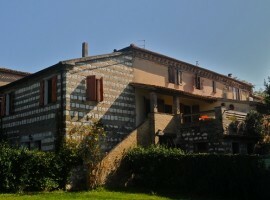 Where to stay: born from the remains of an ancient village, Villa Dama farmhouse is composed of 5 houses, distant from the central villa about one km. 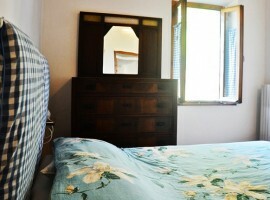 Inside there are recently renovated rooms and apartments. 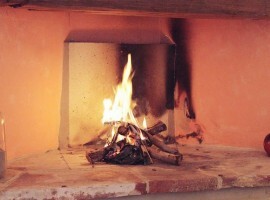 Organic olive oil: In the 170 acres of the farmhouse of Villa Dama there are also the olive trees from which a tasty oil is born, which can be sampled just next to the burning fireplace. 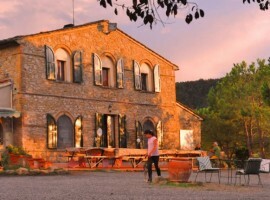 You can’t miss: of course Gubbio, but there are so many activities you can do directly in the farmhouse, between harvest, cooking lessons and a dip in the pool. 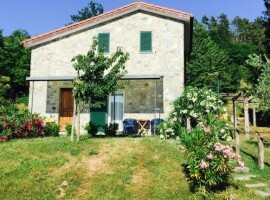 Take a break and relax in the rolling hills and forests, in the sweet Val di Chiana, surrounded by small villages, sunflower fields and orchards. 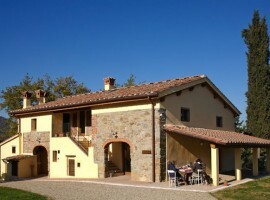 Where to stay: Capoverso is a family project started in 2006 with the purchase and renovation of an ancient Tuscan farm. 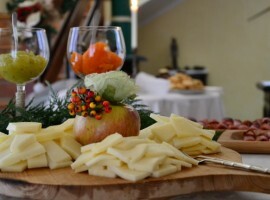 It is now shared with guests who can stay in carefully furnished apartments, have fun in the pool or rest in the shade of the trees, gather ancient fruits and vegetables in the garden, discover the amazing silence of the night and much more. 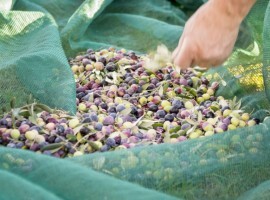 Organic olive oil: the farm produces an extra virgin olive oil that is both fragrant and delicate, with unique aromatic notes because it comes from a mix of different varieties of olive. You can’t miss: you can visit the many art cities of Tuscany and Umbria such as Siena, Arezzo, Florence and Perugia, as well as numerous notable small artistic centers such as Cortona, Montalcino, Montepulciano and Pienza. 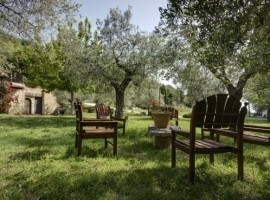 A special holiday to relax in the tranquility of the countryside. 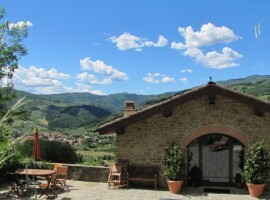 Where to stay: Spiga d’Oro farmhouse is located in a private park, occupies a superb location and enjoys panoramic views. 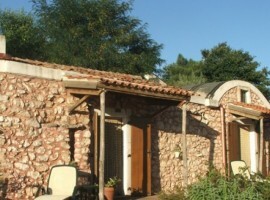 It offers spacious and comfortable accommodations and an ecological swimming pool. 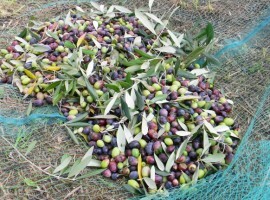 Organic olive oil: you can taste organic and delicious oil directly in the farm. You can’t miss: the most characteristic places of Tuscany and Umbria, such as Siena, Perugia, Cortona and the Val d’Orcia. A break on the shores of Lake Iseo, immersed in the scents of nature, vineyards and olives. 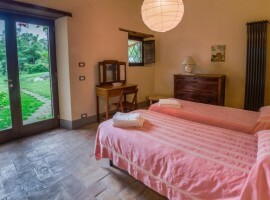 Where to stay: in Cascina Clarabella, which is not only a farm, but also a social inclusion project, for an ethical and sustainable holiday. Organic olive oil: Cascina Clarabella’s extra virgin olive oil is a delicate oil with typical notes of artichoke and almond. You can’t miss: the three picturesque islands of the lake, Loreto and St. Paul, and the largest Montisola. 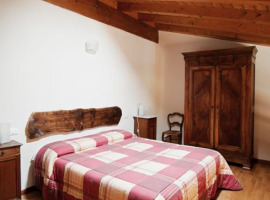 For those looking for a relaxing and familiar atmosphere, between the hills of Val di Vara. Where to stay: in the stone country houses of I Due Ghiri farmhouse, where to rediscover the pleasure of dining together and of simple and genuine cuisine. 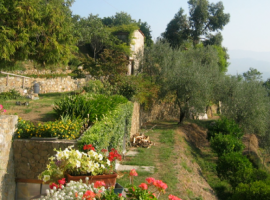 Organic olive oil: the farm produces, with biological method, an excellent and fragrant Ligurian oil. You can’t miss: the Way of the Ligurian Mountains and the beautiful Portofino and Camogli. 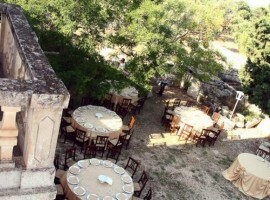 On the last hill of the high Salento, in the countryside of the medieval village of Carovigno. Where to stay: in the rooms, overlooking the sea or the countryside, of the Farmhouse Bellolio, sixteenth-century farmhouse. Organic olive oil: from the millennial olive trees surrounding the property, it produces an excellent organic extra virgin olive oil. You can’t miss: the landscapes and beaches of the Torre Guaceto Nature Reserve and the white city of Ostuni. A digital-detox stay in one of the oldest town in the province of Ascoli Piceno. 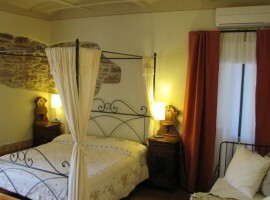 Where to stay: Pietra Antica Farmhouse offers 3 en suite rooms with exposed beams and poor art furniture. Organic olive oil: from the olive grove of the farm you get an extra virgin olive oil, with a slightly spicy taste and a bright green color. You can’t miss: the medieval village of Ripatransone, also known as the Belvedere del Piceno and the nearby Grottammare and San Benedetto del Tronto. Cilento, the pearl of Campania, awaits you with its crystal clear sea and uncontaminated nature. 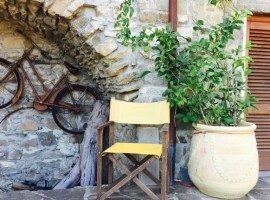 Where to stay: among the olive trees you will find the Zio Cristoforo farmhouse offering traditional cuisine, porch with sea view, swimming pool and mountain bike rental. Organic olive oil: in the months of October, November and December, the Crescenzo family of the farm harvest olives and mill them to produce a delicate extra virgin olive oil. You can’t miss: a dip in the beautiful sea of ​​Palinuro and then a visit to the Paestum archaeological park. 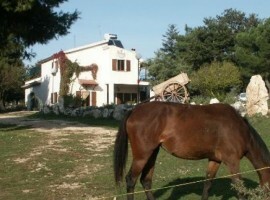 A natural holiday in the heart of Gargano National Park. 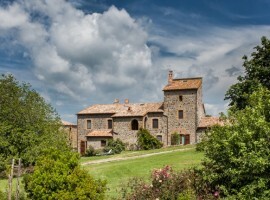 Where to stay: the Falcare farm offers its guests evocative landscapes, quiet and tranquility. 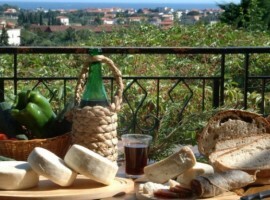 Organic olive oil: the extra virgin olive oil produced by the farm can accompany the delights of the area. You can’t miss: a trip to the Tremiti Islands and a visit to the villages of Vieste and Peschici. 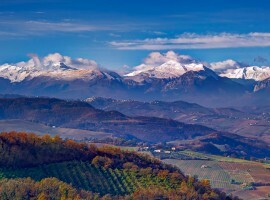 Discover an uncontaminated corner between Lazio, Umbria and Tuscany. 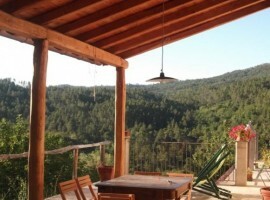 Where to stay: here is the Pulicaro farm, rich in charm. 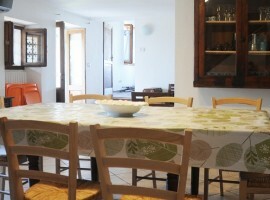 The house has been carefully restored and offers rooms and apartments. Organic olive oil: The farm produces a qualitatively excellent oil, with a very low acidity, and with a fresh and scented taste. You can’t miss: Lake Bolsena, trekking on Mount Amiata and the thermal baths of San Casciano. Immerse yourself in the olive trees of the Conero Riviera, for a holiday among beaches, lush vegetation and historic villages. 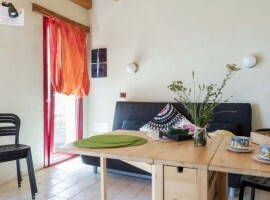 Where to stay: in one of the two eco-friendly apartments of this eco-friendly accommodation surrounded by greenery, with private garden and barbecue. Organic olive oil: not far from the farm you can buy the extra virgin olive oil of Fattoria Le Terrazza, with its intense green color and a slightly bitter, enveloping taste. You can’t miss: find out all about this little-known corner with our post! 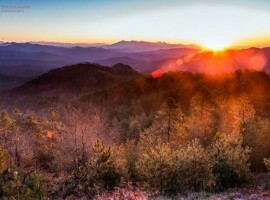 A 100% green holiday surrounded by unspoiled woods of pine, oak, chestnut trees, orchards and cultivations. 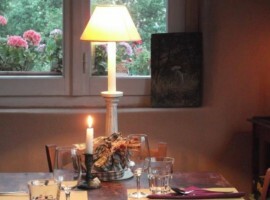 Where to stay: the Il Filo di Paglia farmhouse, built in straw, offers excellent cuisine and moments of relax. 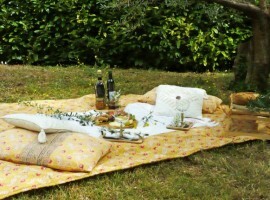 Organic olive oil: the certified organic farm produces, along with honey, fruit and potatoes, a scented olive oil. You can’t miss: the magnificent itineraries along the Vara river, and the nearby Sestri Levante and Cinque Terre. A break to find yourself, to discover the pleasure of moving away from the usual rhythms. Where to stay: Franco and Umberta welcome you to Tenuta Orgiaglia, offering warm hospitality, genuine cuisine and lots of Chianti wine. 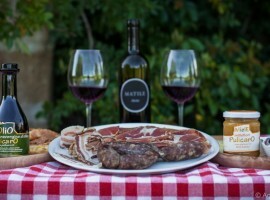 Organic olive oil: from the 3000 olive trees, directly in the farm’s oil mill, they produce an extraordinary virgin olive oil, with intense color and harmonious and fruity flavor. You can’t miss: you are in a strategic position between Volterra, San Gimignano and Siena, immerse yourself in these incredible Tuscan places! This entry was posted in green hotels and tagged country, eco hotels, ecotourism, farm holiday, farmhouse, farmhouses, food, holiday, Italy, local food, nature, olive oil, olive trees, organic farm, organic food, organic oil, resorts, slow travel, sustainable tourism, taste, traditions. Bookmark the permalink.